All Blacks captain Kieran Read says that even though they comprehensively beat Australia last week in the Bledisloe Cup Rugby Championship they still have plenty of work to do. The All Blacks beat the Wallabies 8-42 and a victory in Wellington will ensure that the All Blacks retain the Bledisloe cup for another year. Captain Read said there will be no complacency in the team due to the changes in the line up and their own high standards. 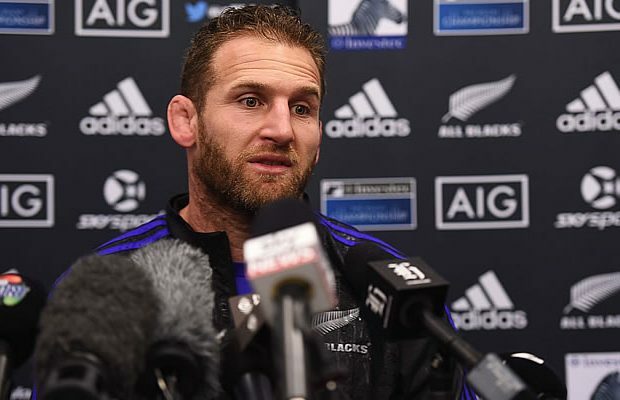 Captain Kieran Read made the point at the final captain’s run that there was no room for error on that front because any time they met Australia the contest was tough. And added to that the Bledisloe Cup had still to be won. “We’re a pretty proud bunch and the Bledisloe Cup means a lot to us. So obviously we have to do a job tomorrow night to hang onto it. “It’s never easy backing up a great performance as Steve [Hansen] has said and we’re looking to do that and go out and stamp our mark on the game. We’ve got to do that early I guess and work our way back into it,” he said. The preparation had been like a normal week for the All Blacks with new cap second five-eighths Anton Lienert-Brown fitting in after having been involved for two weeks. Read said the All Blacks had standards of their own that they were always looking to improve and there had been aspects of last weekend’s game that needed some work. “And certainly the Bledisloe Cup is a massive driver for us. That’s still up in the air right now so we can’t be saying anything about holding onto it until we do the job one more time. “Every time we play against Australia we say it, it is never an easy game so we know we have got to prepare accordingly otherwise it’s a hell of a night and you often find you don’t come out on the right side of it,” he said. Read felt the side’s ball control needed to be better as they had ‘coughed up’ too much ball in last week’s second half and looking to Saturday night the territory game was going to be pretty critical and with Australia fielding a few kickers they would probably look to test the All Blacks. The lineout was an area of strength for New Zealand at the moment and they would be looking to keep pressure on Australia in that area. But with flanker Scott Fardy coming back into the starting line-up it added some quality to the Australian lineout. Read said the Quade Cooper situation was a non-issue for New Zealand. They were keen to play rugby against whoever was in the opposition. Read said Beauden Barrett was enjoying a good season. The Bookies have New Zealand at 1/7 to win the Rugby Championship.